Virgin Gorda, British Virgin Islands. — The Rolex Swan Cup has been attracting fleets of Nautor’s Swan boats to the iconic yachting haven of Porto Cervo, Sardinia since 1980. 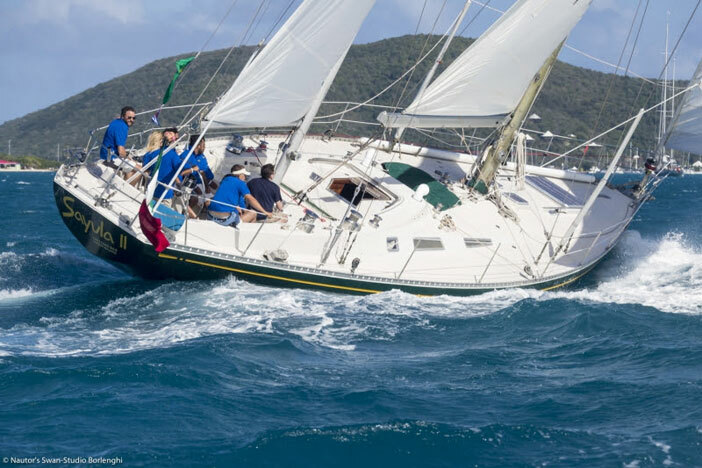 Although the Caribbean version of the event has just reached its third edition, it is already a firm fixture on the Caribbean racing calendar and has been gathering ever-more impressive fleets to the tropical sailing paradise of Virgin Gorda every two years since its institution. Eighteen yachts from around the globe are lined up at YCCS Marina for an event renowned for its unique combination of family atmosphere, thrilling racing and superb social events – a blend that organizers the Yacht Club Costa Smerald have honed to perfection in over 30 years of collaboration with Nautor’s Swan and title sponsor Rolex. The variegated fleet bears testament to the Finnish shipyard’s long history and to their commitment to both tradition and innovation. The models entered range from two of the latest Clubswan 50 one-design racer-cruiser models penned by Juan Kouyoumidjian to classic Sparkman and Stephens designs, and from two of the flagship Swan 115 superyachts to the dainty Best Buddies, a classic Swan 44 with a crew of friends and family that have travelled here from German especially for the event. Each of the boats and crews here have their own story and their own special reason for participating, which is what sets the Rolex Swan Cup events in both Porto Cervo and Virgin Gorda apart from other regattas. Without doubt one of the most fascinating backstories of this particular edition is the participation of the historic Swan 65 Sayula. The surprise winner, in 1974, of the very first edition of the Whitbread Round the World Race – today known as the Volvo Ocean Race and still recognised as the most gruelling sailing challenge in existence – Sayula and her helmsman the late Ramon Carlín were the subject of an award-winning 2016 documentary. Helmed now by Ramon’s son Enrique, who was on board for the extraordinary victory in 1974, the Mexican boat sailed a journey over 3,000 nautical miles specifically to attend the Rolex Swan Cup Caribbean and boasts several generations of the Carlín family among the crew. Equally excited to participate, but with a decidedly more competitive spirit is Hendrik Brandis, owner of Earlybird, the latest Clubswan 50 hull which was christened at the YCCS Marina in Virgin Gorda just days ago. Together with Leonardo Ferragamo’s Courdileone, these futuristic one-design yachts are sure to provide an electrifying spectacle in the easterly 20 knot breezes that are forecast for the coming days. Racing is scheduled to get underway tomorrow, Thursday 2nd March at 11 a.m. with a coastal course planned for the fleet which will be divided into two separate classes. In addition to exciting action on the water, the Rolex Swan Cup Caribbean also brings a host of happenings ashore. Owners and crews will attend an opening reception on the YCCS lawn this evening while a cocktail competition will have crews battling once again on Thursday evening. 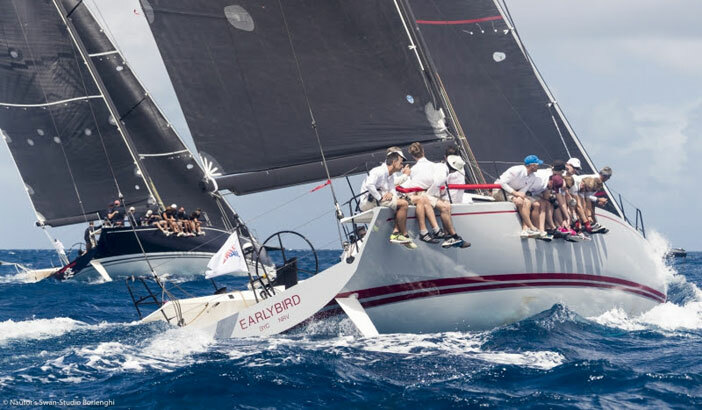 The elegant Rolex Dinner for owners at the YCCS Clubhouse and a relaxed Caribbean Barbecue at Bitter End Yacht Club will also take place before the final prize giving on Sunday March 5th.